For many shoppers, the trade-in process is an important part of car buying, and that’s what makes the cars with the highest resale value so important. After all, at trade-in time, these choices tend to be worth more money than other entries in their class, which helps bring down the out-of-pocket cost of your next ride. Of course, they bring plenty of benefits during that first ownership experience, too, when you’re the one enjoying their powerful engines, high-comfort cabins, dramatic designs, and impressive levels of both infotainment and driver-assistance technology. And make no mistake, these are some seriously tough choices, culled from some of the top retained-value resources from around the internet. 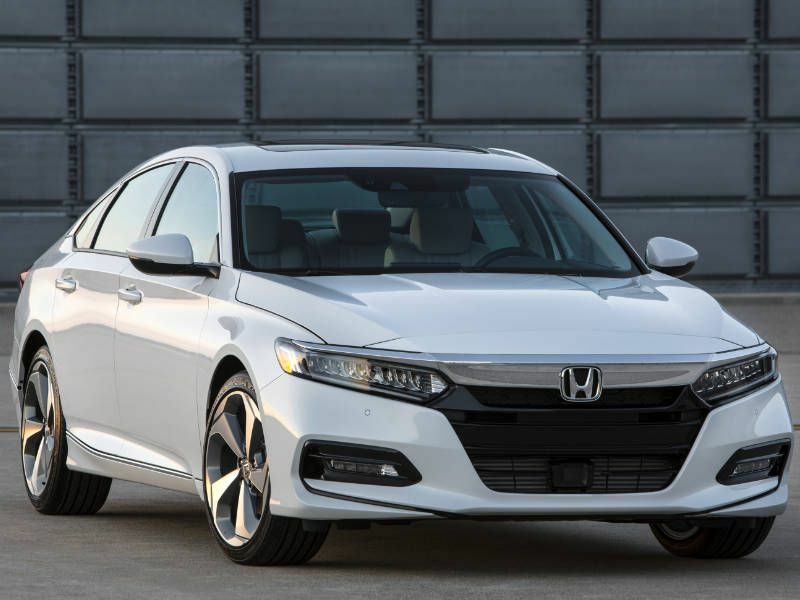 A perennial favorite in the midsize sedan segment, the 2018 Honda Accord brings a special green benefit to the cars with the highest resale value: a hybrid model. Now, the 2018 Accord will be all-new when it goes on sale this fall, so it may not retain its value in the same way as the 2017 version — which is a proven class leader. But instead, the next-gen Accord is likely to hold onto even more of its value, since it’s been dramatically upgraded with an available mobile Wi-Fi hotspot and Android Auto and Apple CarPlay smartphone integration, plus a bundle of Honda Sensing safety technologies as standard equipment. The new hybrid model will then become the first in the industry without environmentally sketchy rare-earth magnets in its drive motors. Honda also is delivering a major increase in technology — and refreshed styling — for the 2018 Honda Fit. And as with the Accord, the changes are exactly the kind you’d expect from cars with the highest resale value. That is to say, these new updates add a lot of value right off the bat since they focus on popular tech features such as Android Auto/Apple CarPlay smartphone integration and Honda Sensing safety measures. That driver-assistance package is especially robust, too, considering the Fit is an affordable subcompact hatchback. Included are adaptive cruise control, collision-mitigation braking, forward collision warning, lane-departure warning, lane-keeping assistance and road-departure mitigation. 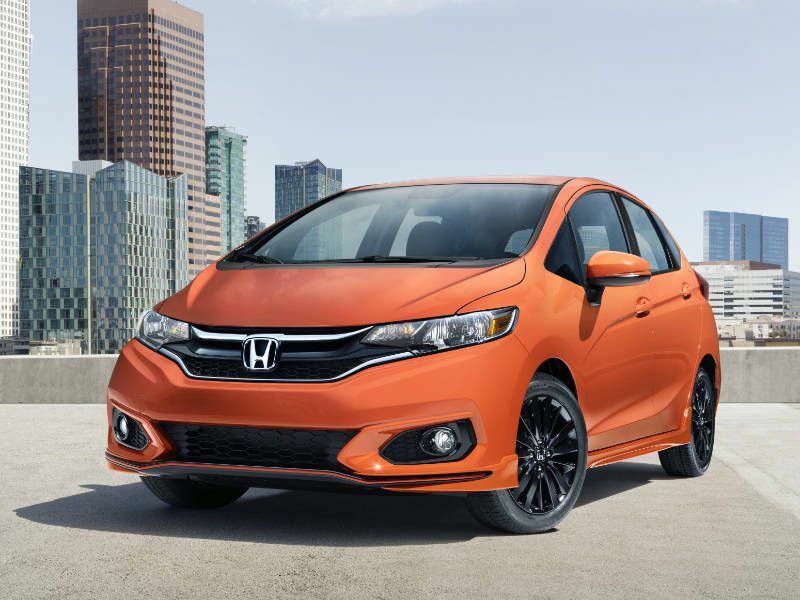 The sporty new design cues for the Fit also are complemented by two eye-popping new exterior colors: Helios Yellow and Orange Fury. A primary driver for the cars with the highest resale value is customer demand, and that’s certainly a key for the Subaru brand. With sales running high on the roster, many of the company’s vehicles have impressive resale values, starting with the 2017 Impreza. 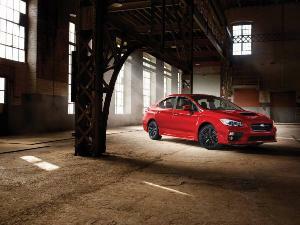 The Impreza is the entry point to the Subaru family, offering compact sedan and five-door hatchback body styles. 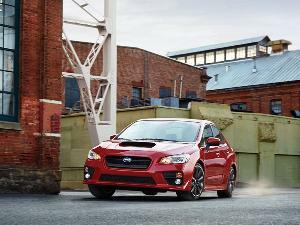 In either case, the Impreza supplies high-value standard features such as all-wheel drive and the latest smartphone-integration technologies (Android Auto and Apple CarPlay). 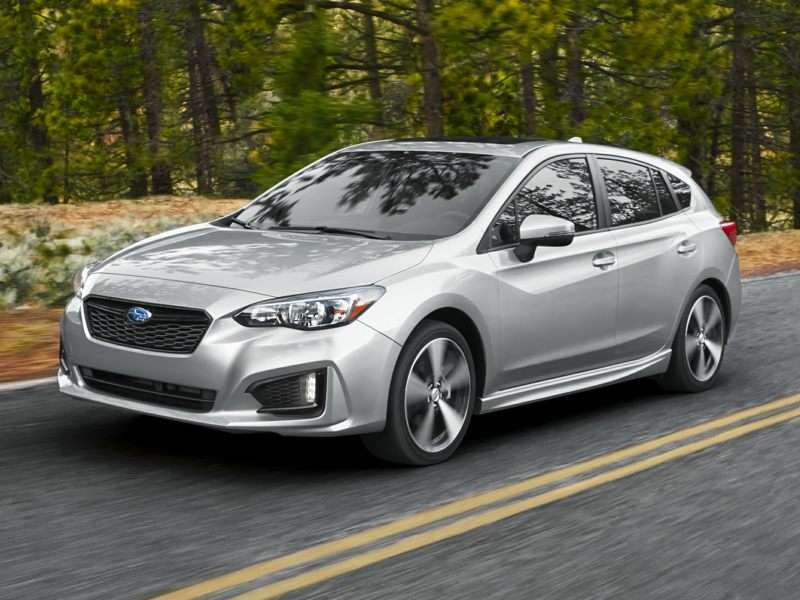 Subaru also has an available Harman Kardon premium audio system along with an optional safety-tech bundle that helps the Impreza achieve Top Safety Pick+ certification from the IIHS. Subaru cars with the best resale value include the 2018 Legacy as well. 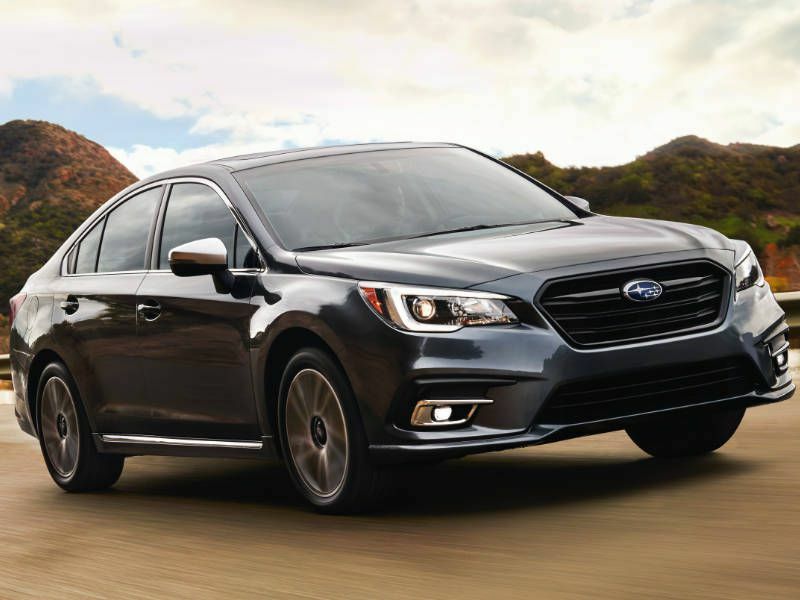 The Legacy is the brand’s midsize sedan and serves up many of the same advantages as the Impreza: standard symmetrical all-wheel drive and advanced smartphone integration, plus an optional EyeSight safety package and IIHS Top Safety Pick+ certification. However, Subaru’s mid-sizer also builds on that content with a blind-spot monitor, rear cross-traffic alert, and new-for-2018 technology like reverse automatic braking and steering-responsive LED headlights. 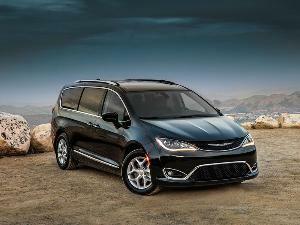 Further, concerning value-boosting luxury equipment, the Legacy can be ordered with leather-trimmed upholstery, a leather-wrapped steering wheel, 10-way power-adjustable driver seat, and heated front and rear seats. The 2018 Nissan Maxima is a segment-buster among the cars with the highest resale value. So, on the one hand, it does come from a mainstream brand, and it does have a typical midsize footprint. But the Maxima also wears a dynamic exterior design that was one of the first in the industry with a dramatic “floating roof” appearance. 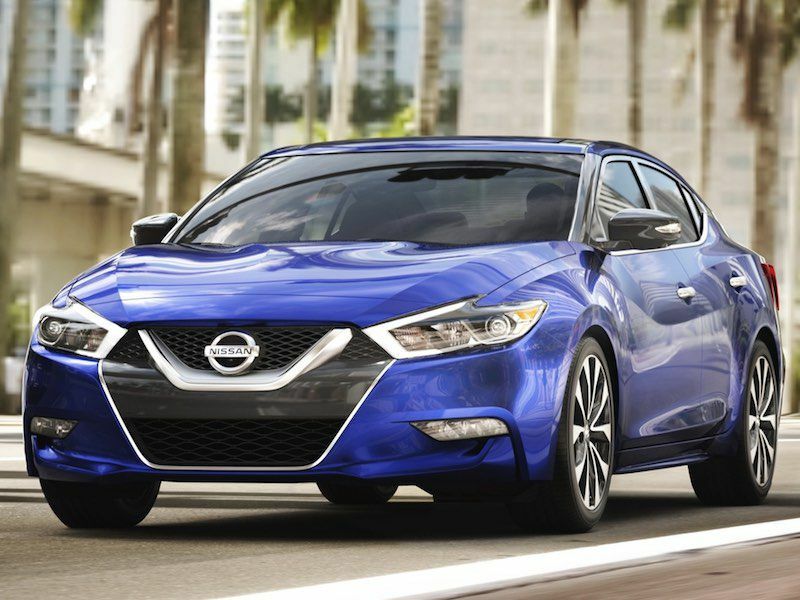 Moreover, the Maxima lives up to its “four-door sports car” positioning with a powerful 300-horsepower V6 engine, track-tested handling, and an award-winning, driver-focused cabin. Nor is there any shortage of Nissan safety technology. Indeed, the automaker’s Predictive Forward Collision Warning, forward emergency braking and a rearview camera are standard; a blind-spot monitor, rear cross-traffic alert and a 360-degree Around View monitor are optional. Sometimes, it’s a rabid fanbase that’s responsible for the cars with the highest resale value. The 2018 Ford Mustang, for example, is backed by steady demand for modern-day muscle cars — and a spirit of continuous improvement from the Blue Oval. The refreshed 2018 Mustang is a case in point, as Ford has once again fine-tuned the car’s exterior design, delivered more traditional technologies and dialed up more performance. 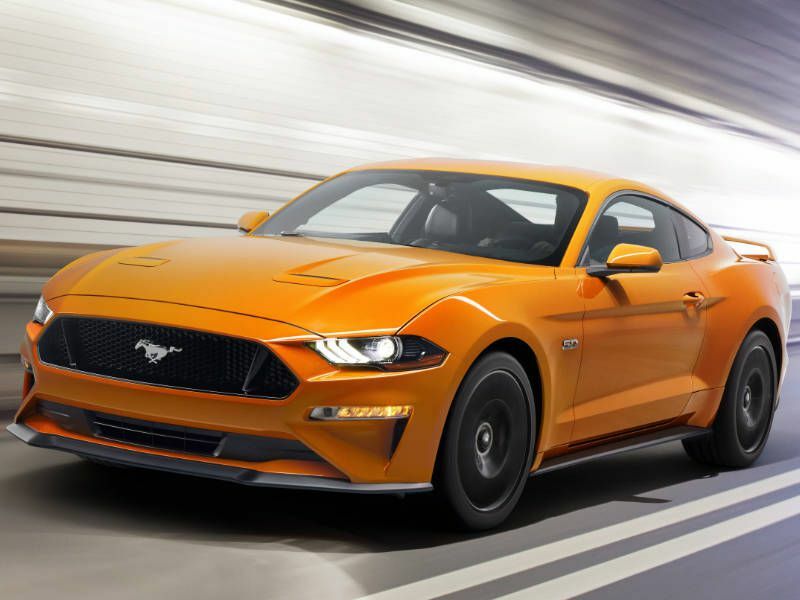 Enthusiasts will be particularly pleased with the Mustang’s re-engineered 5.0-liter V8, as that unit is now the highest-revving, most powerful engine ever found on the GT models. 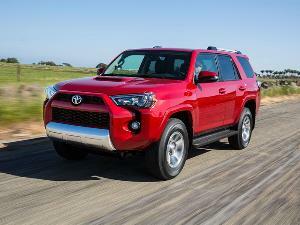 On the tech front, notable new highlights are a 10-speed automatic transmission, lane-departure warning, lane-keeping assistance and a pre-collision system with pedestrian detection. Another muscled-up choice on our list of cars with the highest resale value is the 2017 Dodge Charger. To be sure, the Charger is a four-door muscle car, with full-size dimensions, but it also follows the segment’s traditional recipe with rear-wheel drive and available V8 power. The Charger has three Hemi V8 engine choices, to be exact. 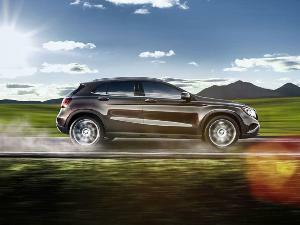 The first is a 5.7-liter unit that can unleash 370 horsepower and 395 lb-ft of torque, and that’s followed by a 6.4-liter engine that can raise output up to 485 horsepower and 475 lb-ft of torque. 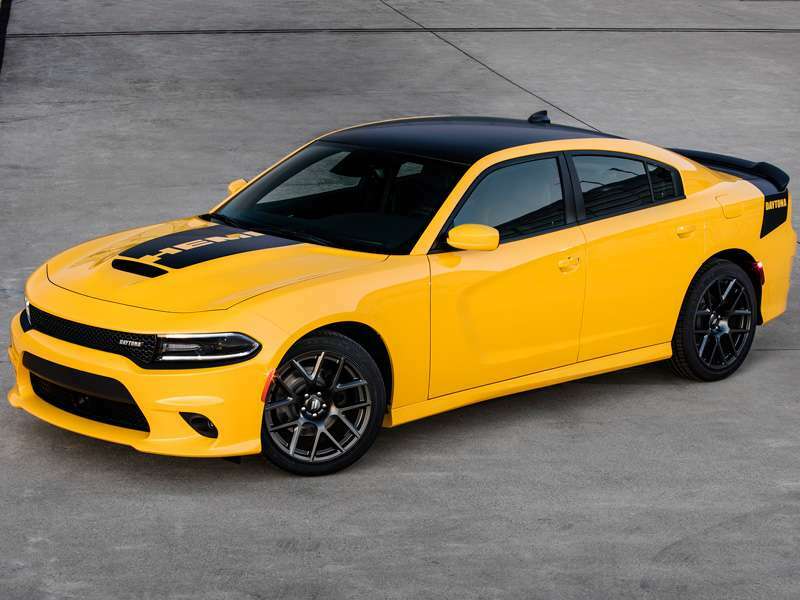 The Charger Hellcat then holds down the top spot in the lineup, thanks to a supercharged 6.2-liter Hemi that’s good for 707 horsepower and 650 lb.-ft of torque. 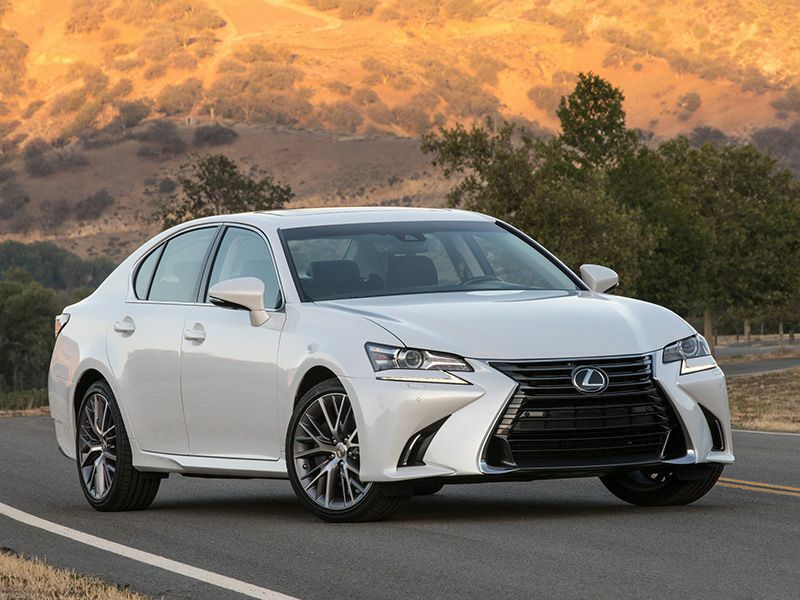 As we turn our attention to the luxury cars with the highest resale value, there are premium sedans like 2017 Lexus GS. Supporting the value of this midsize sedan are such factors as award-winning dependability and a broad range of both standard safety content and available powertrains. Every model includes not only a rearview camera, blind-spot monitor and rear cross-traffic alert, but also a Safety Sense+ package that has a pre-collision system, lane-departure alert with steering assistance, adaptive cruise control, and automatic high beams. 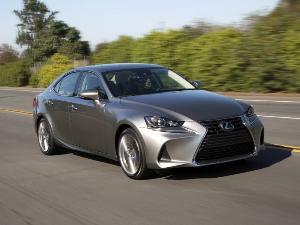 Beyond that technology, owners can select GS models with a four-cylinder turbocharged engine, a naturally aspirated V6 with rear- or all-wheel drive, or a fuel-efficient gas-electric hybrid propulsion system. Meanwhile, for a more athletic approach to the cars with best resale value, the 2017 Porsche 718 Cayman comes to mind. With an even sharper focus on performance, the thoroughly redesigned Porsche compact sports coupe already had a strong reputation for retained value last year, and for 2017. 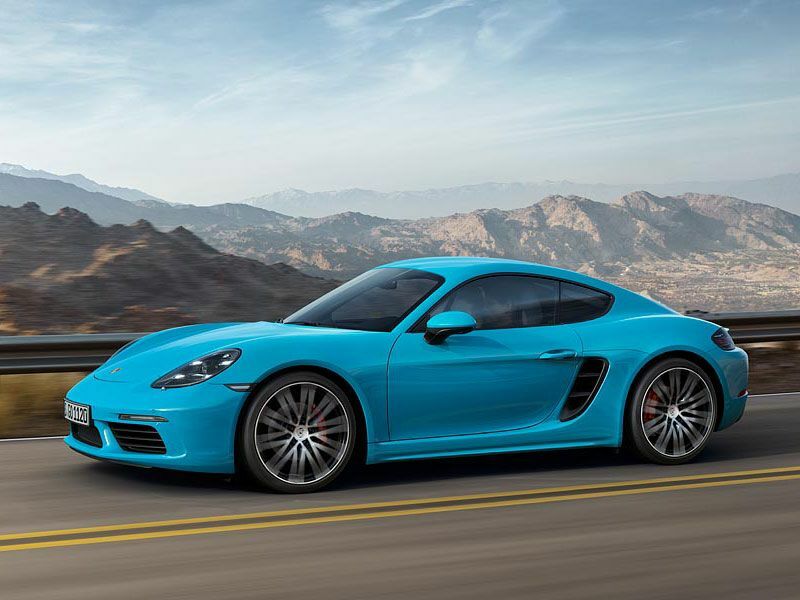 As a result, the 2017 Cayman can sprint from 0-60 in as little as 4.9 seconds with its standard four-cylinder turbo engine. In its Cayman S trim, with an up-tuned version of that turbo power plant, 0-60 acceleration falls as low as 4 seconds flat. It’s a lot for enthusiasts to love. 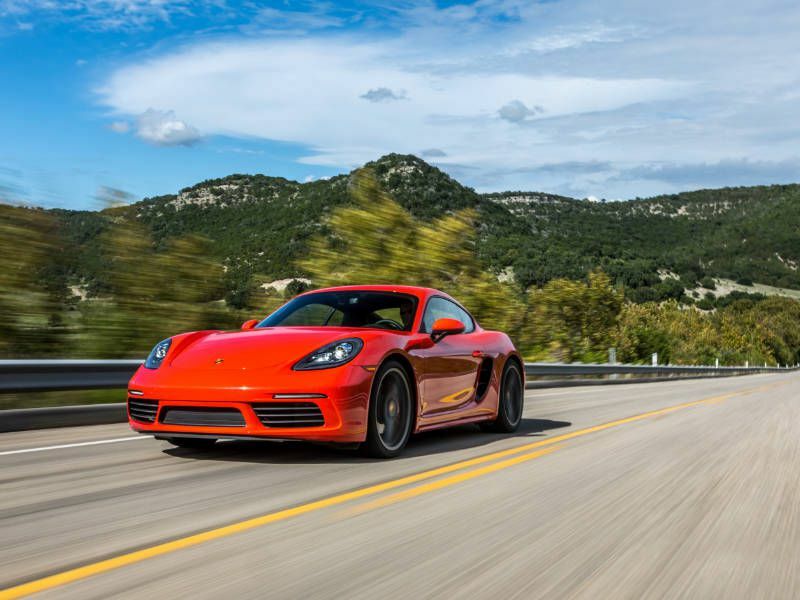 Plus, the Cayman also checks in with available premium features like a mobile Wi-Fi hotspot, adaptive cruise control, and lane-change assistance. Based on our research, Porsche has two of the cars with the highest resale value in their segments. 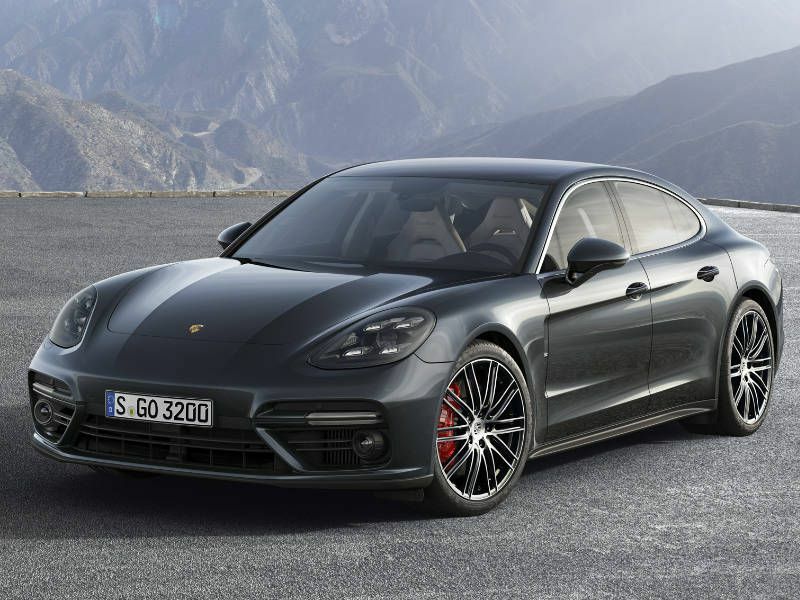 The all-new 2017 Porsche Panamera joins the 718 Cayman here, complete with twin-turbo V6 and V8 engines, optional LED headlights, and premium seating for four with heating, ventilation and massage functionality available for all occupants. Porsche also ramps up safety offerings for the Panamera, which furnishes a rearview camera, lane-keeping assistance and a sophisticated next-generation adaptive cruise-control system that incorporates mapping data to help maintain a set speed. Finally, to enhance driver visibility, the new Panamera can be ordered with a night-vision system that uses thermal imaging to detect people and other large creatures on or near the road ahead.